There may be something of a misunderstanding with respect to the increase in Chinese reserves. The bulk of that gold has come from purchases of their own domestic production, not open market purchases. The impact on the price is therefore indirect. However, because China is the largest gold producer in the world, and it is retaining the bulk of its production for reserve diversification purposes, that impact is significant. Consider, for example, if South Africa had been able to retain the bulk of its production during the years it was the prime producer. It would today be one of the richest countries in the world. As Pierre Lassonde reminded us in the recent past, there haven’t been any large scale in-ground discoveries in many years. That puts China in a very strong position with respect to the gold market, and from what we can gather, it has decided to play that card. Because of its strong exports, it doesn’t need to export gold like South Africa did to sustain and strengthen its economy. China will be able to build gold reserves and make the yuan stronger — its financial muscle the weight of its gold holdings which are likely to grow year to year, and perhaps even accelerate as new fields are brought into production. In addition, as the price of gold rises, so too will the value of its gold reserve. The currency advantage is the one thing the press reports yesterday and this morning overlooked, and as time passes, that may be the most important. Now, I realize that all of this is not quite so glamorous as China buying up every loose official sector ounce, but, at the same time, what I have described above will have a greater long term impact than any purchase of a one-off official sector sale. China, true to its reputation for patience and steady, long-term progress toward its goals, has taken the golden path and now they want the world to know about it. Taking this discussion a step further (and this might be worth another essay by itself) at some point, the Chinese might be very interested in a revaluation that compensates it for its dollar stockpile, and others might be willing to go along as the least offensive means to bringing balance to the international economic equation. That revaluation could occur informally with the market moving steadily higher over the years in a free-market dynamic, or it could occur formally as a return to the gold standard. I do not need to explain to this forum’s readers and participants what that would mean to gold owners the world over. While we ponder the meaning of Chinese gold reserve growth, let’s not set aside the other major gold story from China during the past week. It’s request to the IMF that it sell the entirety of its 3217 tonne reserve coincides with its announcement on reserves and is intended to deliver a message to the financial markets: It sees gold as an important part of the overall international monetary scheme — a scheme that may evolve to a system in time. If China were to purchase the full 3217 tonnes at $1000 per ounce, the price would be $103 billion. With current foreign reserves (of all description) at $1.95 trillion, the purchase price of all the IMF gold would amount to a paltry 5.25% of China’s total reserves. China has made the IMF gold sale bludgeon look more like a wet noodle. The message contained in China’s actions of the past week is unmistakable. China knows that gold is making a comeback almost as a force of nature. Its return to the center of value will be dictated by history and events with or without the help of the world’s governments. I believe China is preparing for that day, and from its perspective apparently it cannot prepare fast enough. The first step toward stability for both individuals and nation states is a step in the direction of gold and China has taken it. Talk about following in the footsteps of giants (with a nod to my old friend, Another). . . . . Someone once said, “noone wants gold, that’s why the US$ price keeps falling”. Many thinking ones laugh at such foolish chatter. They know that the price of gold is dropping precisely because “too many people are buying it”! Think now, if you are a person of “great worth” is it not better for you to acquire gold over years, at better prices? If you are one of “small worth”, can you not follow in the footsteps of giants? I tell you, it is an easy path to follow! An experienced guide is not needed for this trail, look around you and see. The real money is selling ALL FORMS of paper gold and buying physical! Why? Because any form of paper gold is loosing value much, much faster than metal. Some paper will disappear all together in a fire of epic proportions! The massive trading continues at LBMA, but something is now missing? The CBs are no longer lending! They will not anymore! We have reached production costs. Oil will have nothing of “gold paper” if gold must stay in the ground! And a CB values the wishes of oil far above it’s return of leased gold! Hear me now, “if gold tries to go lower than US$ $280 the BIS will buy it OUTRIGHT in the OPEN for all to see”! They must! They will! I know. For no currency system could stand if “Oil” were to bid for gold! Oil has kept “the deal” as the CBs sold paper to lower golds price! All is fair. Asia will bid for gold not as in the past. They now know that the free flow of oil has more value than the Pacific economy. But the price that was paid may be more than the world currency system can endure. The US$ has risen on a flight of fear. That will now end as the LBMA shorts are given to wolves. If this fire burns too hot, gold will turn and it’s trading halted. The price of oil will explode as gold becomes the “world oil currency”! Even now oil has locked the IMFs gold, Asia will bid against them no more. We come to extreame times. Risk not your wealth in paper, we enter a period of truth. 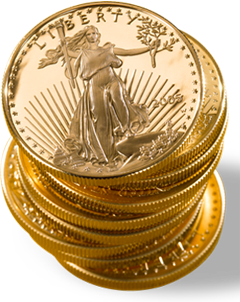 Owner, USAGOLD-Centennial Precious Metals, Inc.
Gold - The Yuan Goes Global – Consequences! We do not believe there will be a Gold Standard because it is anathema to all bankers, central bankers included. What is likely to happen is that a formula will be worked out where gold can be used to increase the credibility of and confidence in paper money again. It is my firm belief that the Chinese controlled the G20 Agenda totally, with direct coordination from the Russians, but made gentlemanly agreements not to reveal their control. My firm belief is that the Chinese and Russian leaders at the G20 Meeting in London had contentious private meetings. Premier Wen Jiabao and Dmitri Medvedev probably informed President Obama that the USDollar is dead as a uni-polar global reserve currency, that the Chinese yuan would expand its global function, that the Special Drawing Rights could fill a void until more specific new currencies could be launched in the future, but that the choreographed glitz of the London meeting could proceed on its carefully planned stage. This Thought of Another should perhaps be made known in Tokyo and in Doha, Qatar. TOKYO - Ministers participating in an energy roundtable in Tokyo may seek increased oversight of over-the-counter trades in oil and its derivatives, according to a draft of a statement to be released by the chairmen after Saturday’s meeting. The document, which may change, calls for limits on speculative positions in oil futures. OPEC needs to monitor the global oil market carefully to determine if it is oversupplied, Qatari Oil Minister Abdullash bin Hamad Al-Attiyah told reporters earlier. Perhaps, I gave the wrong interpretation to the Saudi Gazette article. April 26 (Bloomberg) -- OPEC and 13 Asian countries called for greater oversight of oil and other commodity markets to prevent a surge in prices after the global economy recovers from the worst recession since World War II. Friday’s announcement came too late for this South-Korean writer. and independence and self-reliance to prevent powerful international actors from unduly influencing developmental decisions. Recently the Chinese government launched efforts to upgrade the Beijing Consensus from an alternative development model to a new economic order by adding currency arrangements to it. The Chinese government calls for a new international reserve currency delinked from a particular country to replace the U.S. dollar as the anchor currency. This demand is legitimate, according to China, on the grounds that a supranational reserve currency will remain stable in the long run and hence enhance stability in the world economy. China hopes to expand the use of the IMF's Special Drawing Rights with the Chinese yuan eventually added, which currently are monetary units valued against a composite of the U.S. dollar, the Japanese yen, the British pound and the Euro. However, realizing that it will take a long time before a new reserve currency emerges, for the time being China aims to increase the use of the yuan in global trade and has signed bilateral currency swap agreements with six different countries. The comment made it to the Saudi Gazette . China knows that the free flow of oil has more value than the Pacific economy. Hence, China said on Friday that it has become the world’s fifth largest holder of bullion after secretly increasing its reserves by 75 per cent to 1,054 tonnes since 2003. The price of oil will explode as gold becomes the world oil currency. Watch today’s spring meetings of the International Monetary Fund (IMF) and World Bank in Washington. Remember the gold pyramid you posted a while ago? 4 BEST for this week. Congratulations and thanks for all you are doing to bring the TRUTH to the public. Excellent comment you left for oil. Your three latest posts are great. I recommend everyone read them. One thing you occasionally do that I like is that you take notice of subtle changes made to breaking news stories. This gives us a rare look behind the curtain at hidden biases, thoughts and back pedaling by editors. Regarding Quantum Mechanics, I don't know if you saw the conversation between me and alek_a. It is here starting at comment #39 going through #54. We discuss Heisenberg's Uncertainty Principle as well as others. I definitely appreciate your analogy to Quantum Gravity. That article you linked is an outstanding find! It is truly a pleasure to see such clarity of Thought expressed in a mainstream publication. And you correctly identified that the underlying message is the trust that has been broken by the opacity of the $1Q derivatives pile that is causing capital to flee down the pyramid. This CANNOT be reversed by the PPIP. Paper is burning. FreeGold is coming! Think epidemics are random? Think again. This is one way to really wreck your weekend. Who monitors the monitors? This is from 2005 but is still relevant today... "Scientists have resurrected one of the world’s great killers in the laboratory, hoping that the genetic secrets within the 1918 influenza virus will help them predict and combat the next major microbial threat to mankind."